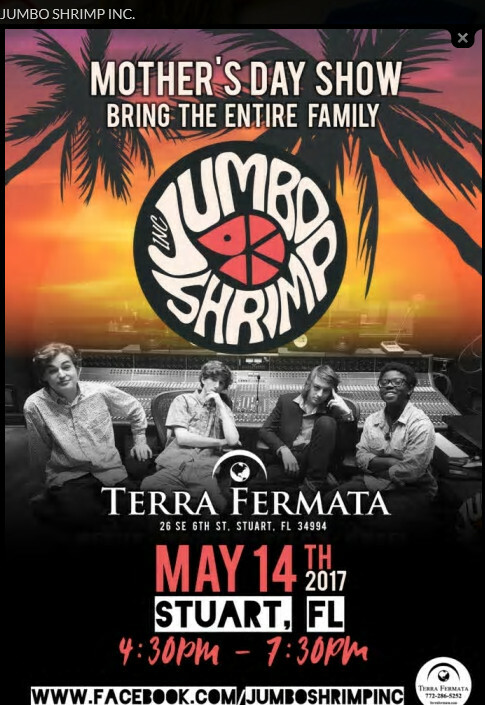 Home > EVENTS > JUMBO SHRIMP INC. Since 2012, Jumbo Shrimp Inc. have converted crowds into fans. This rising Florida Alt-Rock band have mastered the ability to blend four unique styles, from varying musical backgrounds, into masterfully written music. The result… infectious, soul capturing LIVE performances that leaves you quizzically saying, “…what just happened? I don’t know where they took me, but that was awesome!” Check their show schedule and feel it for yourself. Allow Angel, Benny, Dylan & Walker to capture you at one of their LIVE shows.